Will Selva – Thank you for visiting Will Selva's site! Here you'll find sports updates and commentary! Will Selva’s parents were immigrants from Nicaragua, so Will understood from an early age the struggles they endured beginning a new life in a completely foreign country to them. Will’s parents faced difficulties like most immigrants, but they stuck to the principles of hard work and determination and in doing so they raised their son to pursue his goals and dreams using this same determination. Will’s parents left Nicaragua, but they ensured their son learned about his parents’ culture and background in Central America. 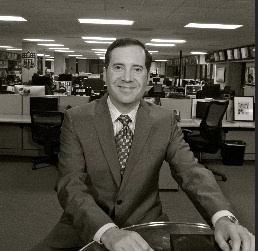 Will Selva is a sports broadcaster and loyal San Francisco 49ers fan. Will Selva’s parents ensured that Will learned the Spanish language as a child so that he would appreciate his Hispanic roots from an early age. Learning Spanish as a child allowed Will to use the skill throughout his career as a sports broadcaster. For instance, Will currently hosts a show for Fox Sports West called Big West Now in both English and Spanish. Not only does Will display his pride for his parents’ Nicaraguan heritage by hosting in their native language, but he also closely follows the careers of Hispanic athletes in a wide variety of sports. Will, in particular, feels connections to Diego Maradona and Dennis Martinez due to their perseverance and impacts they have made in their respective sports. Will Selva’s love of sports began when he played soccer, football, baseball and tennis as a kid and in high school in San Francisco. Will is a loyal San Francisco 49ers fan who witnessed Joe Montana’s epic pass to Dwight Clark which led to the 49ers going to the Super Bowl. Since then, Will has continued supporting the 49ers win or lose! Will Selva has over 8 years of national network experience under his belt and he doesn’t seem to be slowing down any time soon. Will has worked at top networks like CNN, ESPN, and NFLN. He has co-hosted the “Morning Express” with TV personality Robin Meade. Will has covered many memorable sports events such as Andrew Luck’s pro day at Stanford, Super Bowl 40 and Super Bowl 41. Currently, Will works for the NFL Network and Fox Sports 1. He recently was praised for his hosting and for his professionalism in an article by World Soccer Talk for his coverage of European soccer.